Golf cart sales, rental, leasing, service, parts, and accessories. Located in Cambridge, Illinois for nearly two decades, Cambridge Cart Sales is one of the Quad City region's industry leader in new and used cart sales. Offering leasing and rental plans, a full line of OEM and retail parts and accessories, plus a comprehensive service department. If you are in the market for a new or used cart, call (309) 937-5888. If you are looking to add to your fleet of carts, or for your questions about renting or leasing carts for your outings, contact Cambridge Cart Sales. Taking the extra step now, provides for long-lasting customer relationships and positive recommendations. Cambridge Cart Sales is truly an excellent company which delivers well beyond our products and services. We provide a great, local customer experience, backed by the latest in technology through our global support network. We stock the parts you need when you need them, and we provide resolutions instead of excuses. It takes hard work and dedication to be the best - but, that is simply the way we do business. Such hard work and commitment is definitely worth it. For nearly the past two decades we have worked harder everyday to earn your business, keeping Cambridge Cart Sales as an industry leader, known as one of the region's best supplier service and accessories for your golf carts and utility vehicles. 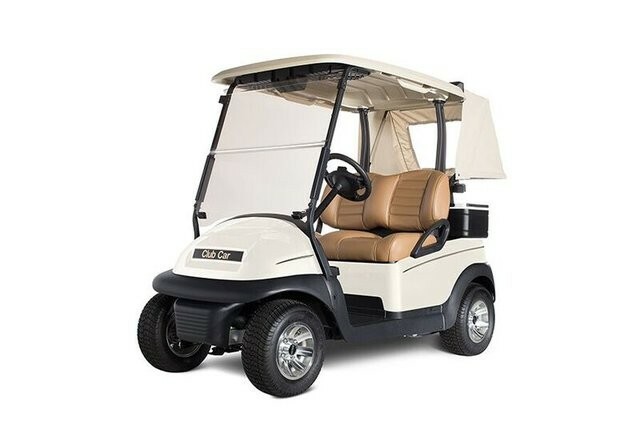 Once you decide on a used golf cart or utility vehicle from Cambridge Cart Sales, you can be assured that our selection come from our fleet as well as from local trades. This is important to know so that you can be assured that you're not purchasing a cart from warmer climates, where such carts may have as many as three times or more operational hours per year, for the same age. Used vehicles always in stock. Inventory changes daily call for best prices. All our used fleet cars are serviced regularly, so you know you're getting the best. 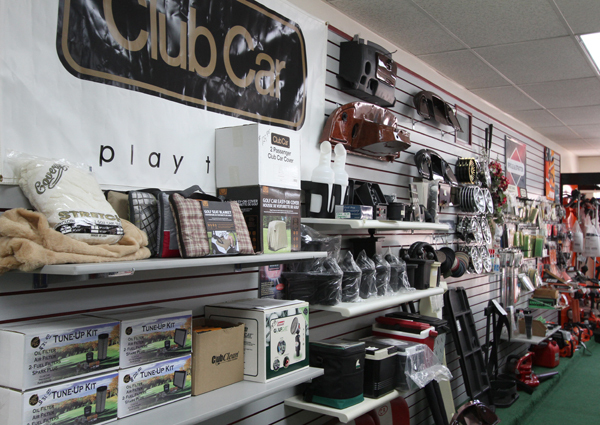 Visit our complete line of parts, accessories and supplies for your golf car. We offer parts and maintenance supplies to help keep your car in tip-top shape. From batteries and belts right down to cleaners and waxes keeping your car with a like-new luster. Whether it's time to store your car for the winter, or get it ready for a brand new season, Cambridge Cart Sales offers a complete service facility. We have interchangeable body parts, tires and any serviceable part necessary to keep your car running and ready to use year after year. Regardless of whether your car is electric or gas, we can winterize or service your car for the upcoming season. From the moment it rolled off the assembly line, Precedent ushered in a new standard for refined style and user experience. Thoughtfully designed with the golfer and operator in mind, Precedent continues to inspire imitators who all fall far short of matching the innovation, build quality and the most inspired thinking in golf cars. 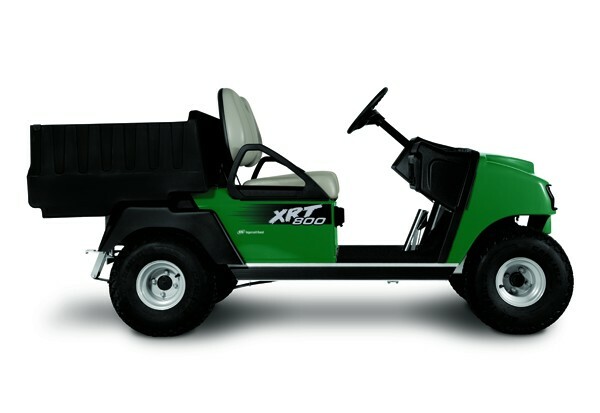 Need a compact UTV that delivers performance, comfort, and affordability? The XRT800 fits the bill. It's affordable, tough enough to get the job done and compact enough to fit in the back of a standard pick-up truck or crowded garage. 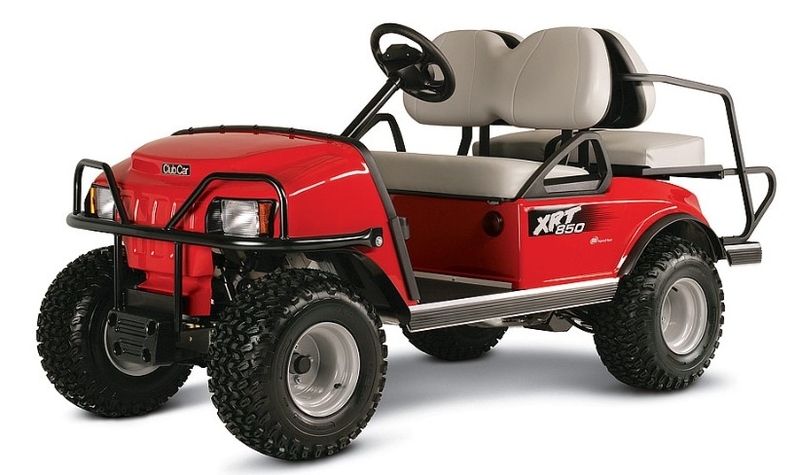 Want a compact UTV for camping, hunting or cruising your land or the beach? Drive the XRT850. It has more ground clearance and larger tires than the XRT850, so it performs well on a bit rougher terrain and on the beach. We are open Monday through Friday from 8 a.m. to 5:30 p.m.